Dear Your Majesty…. Please can you send my dad home from the war? He’s been out there for the last eleven weeks. His best friend got blown up today, and I don’t want him to get hurt, so please can you excuse him from the fighting? 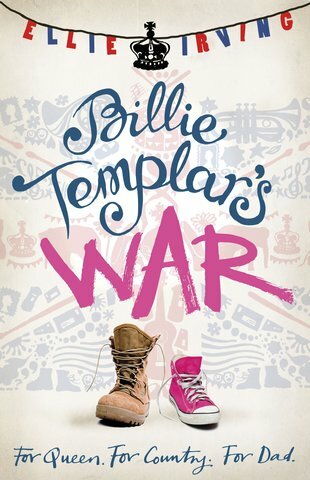 Billie Templar wants one thing more than anything else in the world: her soldier dad to come home from the war in the Middle East. But there’s only one person who can help – the Queen. She’s in charge of the army, right? She can send Dad home! But it seems that breaking into Buckingham Palace to speak with Her Majesty isn’t going to be easy. So – with the help of some good friends, some unruly old-age pensioners and an elephant – Billie hatches a foolproof plan to get the Queen to visit her little village. Is she heading for a right royal disaster? Or will her personal crusade finally bring her father home? Great story, Billie is quite a funny girl!